We are now a month into the second half of 2016 and so far it has been a massive year of music releases. Over the last few months I have been collaborating a short list and penning my personal opinion on the 2016 music releases that I've found most enjoyable, interesting and groundbreaking so far. Also check out a Spotify playlist that I put together titled, ‘TWENTY16’, which collaborates all the music mentioned below and plenty more. I'm constantly updating this so give it a follow. Who? Yeah I had no idea either until the ridiculous media promotion leading up to the release of this album. Luckily for The Avalanches they have thrown together a decent record, 16 years after their last release. The music is at times overly quirky and psychedelic however a good selection of samples and strong hip-hop features balances out the album. Three songs really stood out to me. Flume made some interesting decisions with regards to the features and sounds that he used on this album. I think the album lacks a consistent aesthetic as well as the smoothness and grace of his self-titled debut record. If you look at some of the songs strictly as singles and not in the context of the album then Flume has some excellent tracks on here. I particularly enjoyed the hip-hop features on this record with three of my favourite young rappers lending a few verses. There is no denying Flume is an extremely talented producer, and for the record, I’m a fan of his music (seeing him for the third time in December). I just wish he had cut the album slightly shorter and removed some unnecessary tracks (the same could be said about a few albums this year, i.e. The Life of Pablo and Drake’s Views). I’ve been pretty harsh on Flume here. I love what he’s doing for Australian music around world. He’s putting us on the map and bringing my favourite rapper, Vince Staples, to tour with him. No complaints. Fairly unfamiliar with Corby, it was refreshing to hear his unique sound and elements of this album span so many genres. The neo-soul vocals and instrumentals immediately reminded me of the sounds of Tame Impala and Hiatus Kaiyote. Similarly, the RnB driven soul elements linked my mind directly to Anderson Paak. This album was brilliant and I feel like Matt Corby’s music is seriously underrated in international music circles. I’m looking forward to his future releases. Definitely check this album out if you already haven’t. Ngaiire’s sophomore release may just be the best and most underrated Australian album of 2016. Her elegant, soulful vocals combine beautifully with the electronic synths and heavy base lines. At a number of moments throughout the album, Ngaiire’s vocals reminded me of Beyonce. Also, the combination of female vocals with synths and electronic arrangements is a sound that in my mind channeled Hiatus Kaiyote. I really enjoyed this project and her fresh sound. Sampa The Great is for real. This Zambian-born emcee that now resides in Sydney is beginning to make waves in the industry. She opened for Kendrick Lamar in Sydney earlier this year and has released some really poetic rhymes backed by jazz/soul/R&B/hip hop fused instrumentals. REMI is set to release his sophomore album, Divas and Demons in September and I’m excited. A promising young rapper from Melbourne, REMI has released two impressive singles so far this year. The first is a groovy cut called 'For Good' featuring Sampa The Great, the second is a poignant banger titled 'Substance Therapy'. 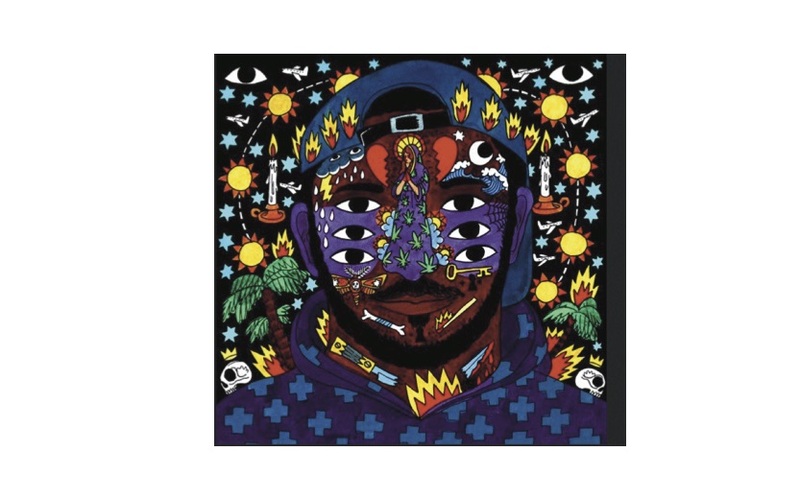 Similarly to Chance The Rapper, Kaytranada thrives off colourful sounds and the positive emotions that his music stimulates within the listener. There’s no better example of this similarity then the Kaytranada produced ‘All Night’ from Chance’s mixtape. If you are unfamiliar with Kaytranada, he seems like the only elite electronic musician and producer to not hit the mainstream. He chooses to be like that. He doesn't ask superstar pop artists to sing the hook to his new song (G’Day Skrillex, G’Day Calvin Harris etc). On his brilliant debut record, the Toronto native brings out the best in a number of talented vocal collaborators from the hip-hop and RnB scene. 99.9% affords both the perfect background music for your house party or music to just chill out too. The songs are addictive and driven by creative percussion. Changes in tempo between tracks keeps the album diverse and engaging and wonderful beat switches within songs give me a kick every time I listen. 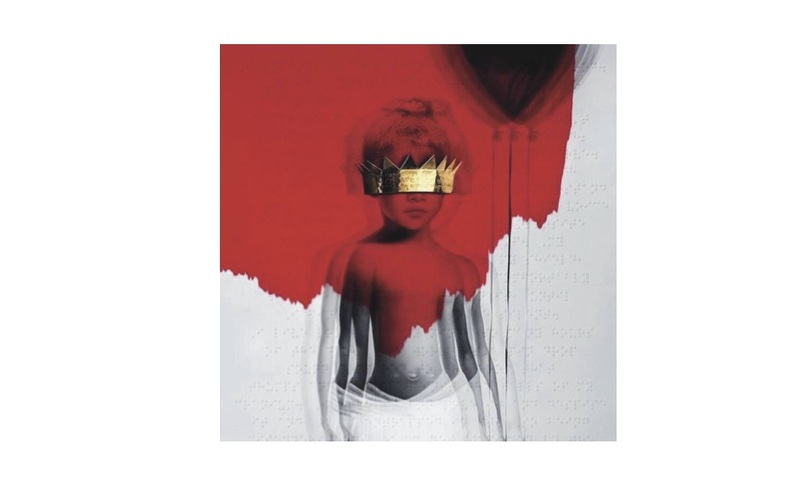 I’m not really feeling this album to the ‘9 out of 10’ level that some people and music media publications are. However, there were definitely still some really great and memorable moments throughout this album. Beyoncé experimented on this album, however any risk that Beyoncé takes is going to pay off because she is so good and consistent at what she does. Chances are you haven’t heard about this collaborative project. It was minimally promoted, announced just days before its release and has flown well under the radar ever since. There are some really cool and catchy RnB records on this short project. Aiko brings her brilliant vocal prowess to the album, which is well complimented by some decent rap verses from Big Sean. Kendrick Lamar / untitled unmastered. This project was exactly what I wanted from K dot. It’s so engaging that you forget it hasn’t even been mastered properly. Kendrick strictly did live performances of these untitled songs before LeBron James tweeted him asking him to put them out. Not long after, Kendrick released this small 8-track compilation album. Thank you LeBron and thank you Kendrick. The promo singles released in late 2015 had me incredibly excited about this release. So excited that as soon as I was able to get wifi during my January New Zealand road trip I downloaded this album. Malibu then provided the perfect soundtrack to accompany my trip. Malibu is without a doubt a top 3 album of the year for me. This album spans multiple genres and has a bit of everything for everyone. I don't have enough space to talk about all its high points so just go and listen and you won’t regret it. Highly recommended. Don't slip on this tape. Paak is running the game and has been absolutely everywhere this year also featuring on some great tracks. This album brilliantly epitomizes the west coast g-funk rap sound. I thought this was a very solid project from YG and it has received rave reviews. The hard-hitting, ‘Bool, Balm & Bollective’ is one of my favourite releases this year. With a banging hook, quotable lines and a fun beat, the anti-Trump anthem, ‘FDT’ (F*ck Donald Trump), is something you need to hear at least once. Frank Ocean / ????? ???????? ?????????????? We wait. Vince is without question my favourite rapper and hip hop personality. No solo releases from Vince yet this year however he has had some impressive features on two of my favourite tracks this year. He announced that an EP titled Prima Donna is in the works and we’ve heard that he has been working with both Flume and James Blake on it. If you enjoy Vince’s features on these songs then have a listen to his critically acclaimed 2015 album, Summertime 06’. You can click here for my full review of Kanye’s album. Chance lived up to the hype. He is certainly making the most spirited and uplifting music in the hip-hop and RnB industry. Most of Coloring Book sounds like a collection of hymns backed by joyful horns and elevating pianos. I thought there were some elements that were unnecessary inclusions but these didn’t take away from the brilliant moments and Chance in his rapping element. Not only are his verses lyrically impressive but he also sings really well throughout this project. 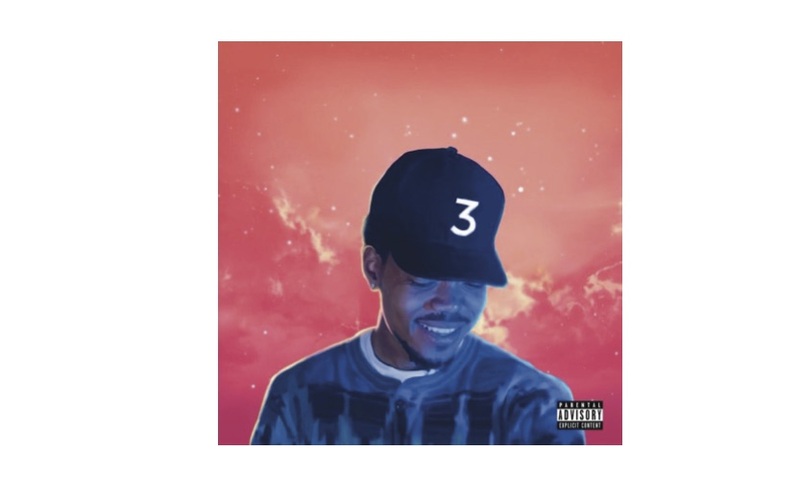 Chance marries rap and gospel music perfectly to produce an irresistible mixtape filled with positive vibes from start to finish. Do not let the year pass by without giving this a listen. Chance was recently announced on Perth's New Years festival lineup so gear up for an Australian tour around early 2017. With the current issues plaguing American society this is a very pertinent and personal release from one of the most promising young rappers. Vic raps in detail about his personal life, addressing the Black Lives Matter movement and in particular the shooting of Laquan McDonald in his hometown of Chicago. I really enjoyed this short introspective EP from Vic in which he experimented with some new styles and delivered well-produced, hard-hitting songs. Favourites: Dynasty, 16 Shots, Danger, Shades of Blue, There’s A Lot Going On. This album was really confusing. Remove ten songs, make it an EP and this release becomes a lot better. In the midst of ten uninteresting tracks, Ferg manages to deliver some of the best hip-hop bangers this year. Overall, this mixtape was pretty disappointing however it would be wrong to dismiss Desiigner from the 2016 music discussion, as he owns one of the biggest hits of 2016. The production isn’t the issue; he has the top hip-hop producers working with him. The problem is the likeness of his rapping style to Future. He needs to find his own unique rapping flow and delivery in his upcoming debut album, The Life of Desiigner. The three singles released for DJ Khaled’s upcoming album are great and he has used his guest features well, unlike his previous album. Khaled has been all talk for the last year with his overrated rise to Snapchat fame. Lets see if he can put his energy into a decent album. It drops this Friday. Edit: DJ Khaled is a collaborator and Major Key is essentially a compilation album of A-list rappers and vocalists over beats that Khaled has a lot of other producers assisting him with. Khaled doesn't give anything vocally to the album other then record label shout outs and his one line snapchat catchphrases. The five opening tracks are the best five cuts on the album. Hip hop legend, Nas, bodies his track 'Nas Album Done' and Drake provides us with another summer anthem hit song in 'For Free.' Khaled follows Nas with a huge anthem titled 'Holy Key' where Kendrick and Big Sean provide great verses over brilliant hip-hop production. Then, J Cole gets introspective on 'Jermaine's Interlude' a track that sounds like an outtake from Cole's critically acclaimed album, Forest Hills Drive. A promising new RnB/pop artist to hit the music scene, Moxie Raia released her debut project ‘931’ this year. Raia has a silky smooth voice that is well backed by impressive instrumentals. She is well supported by strong features from Pusha T, Goldlink and Jimi Tents (check out ‘Landslide’ by Jimi Tents). Apparently she opened for Bieber on his tour if that means anything significant to you. I definitely recommend checking this one out. Joey debuted a new sound and one of the best American summer anthems with his single ‘Devastated.’ I love the laidback and uplifting aura that Joey gives off with this song, a contrast to his darker, hard-hitting B4.DA.$$ album (one of my favourite albums of 2015). A member of Chicago’s Savemoney Crew that includes Chance The Rapper and Vic Mensa, Joey Purp has the biggest sleeper mixtape in rap music this year. Unsurprisingly, many instrumental elements of this album could easily fit on a Chance mixtape. Triumphant horns feature heavily throughout and Purp thrives in his passionate and compelling delivery. The main distinction with Chance’s music is that Purp explores darker societal themes. ‘Girls @’ featuring Chance sounds like its inspiration was drawn from Milkshake by Kelis. It’s awesome. This female rapper from Chicago dropped her silky smooth debut mixtape today. She has worked a lot with fellow Chicagoan's Chance The Rapper and Mick Jenkins so it is unsurprising that her sound has elements very similar to Chance's style. This mixtape is so chilled out and relaxing. After only after a few listens I'm really enjoying it and along with Joey Purp's this is one of the more impressive mixtapes this year. Admittedly this album is not the type of music that would feature heavily in my personal listening rotation. However, Blake provides the perfect instrumental background music to a relaxing afternoon at home or a day of study. I was pretty excited to hear this debut album and I have had the lead up singles 'Bad Blood' and 'Fool To Love' on repeat. Nottingham native, NAO, has a very unconventional voice and her engaging delivery is backed by brilliant crisp electronic production. For those unfamiliar with NAO, her most obvious musical comparison is AlunaGeorge - but with less pop and more funk. This album is packed with funky, retro soul cuts and would fit right in as a funk, RnB, electronic dance or modern pop record. The sounds are very diverse and encompass everything from vibrant synths and groovy guitar lines. As far as debut records go this year, NAO's, For All We Know, and Kaytranada's, 99.9%, are at the top of the list. NAO accidently revealed she has been asked to play Laneway 2017 so get keen for that. Kiwanuka has provided a graceful, introspective piece supported by emotional and magnificent instrumentals. His music is reminiscent of the sounds of the forefathers of modern soul and RnB music, Bill Withers and Curtis Mayfield. This soothing, soulful album is packed with strong personal and political themes. In addition to Kiwanuka’s vocal excellence, there are funky guitar lines, cool-backing vocals and rolling percussion that you find yourself nodding your head to. ‘Black Man In A White World’ is one of my favourite songs this year. This album has been out for less then a week but I can safely say that it will finish as one of the best albums of 2016 on most publications lists.